OMG! 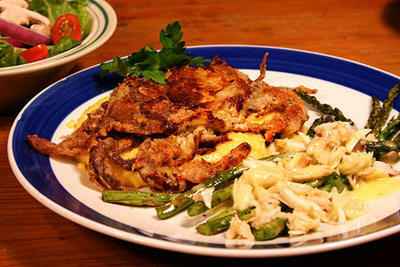 Softshell crab w/ pasta? Who knew? My fav is right off the boat in a sandwich w/ a cold beer after a morning dive trip in the Florida Keys, but this will do.